All the major browsers come with a private browsing mode of some sort so that you can, ahem, shop for birthday gifts and, uh, plan surprise parties without leaving any trace of what you’ve been up to. Or, more realistically, to visit seedier sides without leaving a potentially embarrassing trail. Whatever the use case scenario, these private browsing modes are mostly designed for local peace of mind. They erase your history and take other steps to hide where you’ve been from anyone else who might use the same PC, though Mozilla wants to take things further. Mozilla rolled out a few experimental enhancements to its Private Browsing feature that are currently available in pre-beta versions of Firefox, including Firefox Developer Edition on Windows, Mac, and Linux, and Firefox Aurora on Android. These enhancements are designed to actively block website elements that might be recording your activities or otherwise collecting data about your online activities without your knowledge. The enhanced protection can sometimes come at a cost — specifically, some websites might appear broken when Firefox blocks elements that track your behavior. However, you have the option of unblocking finicky elements to view a website normally. Mozilla’s new Tracking Protection mechanism also blocks some websites and domains outright. “Tracking Protection allows you to take control of your privacy online. While Firefox has a Do Not Trackfeature that tells websites not to monitor your behavior, companies are not required to honor it. Firefox’s Tracking Protection feature puts the control back in your hands by actively blocking domains and sites that are known to track users,” Mozilla explains. 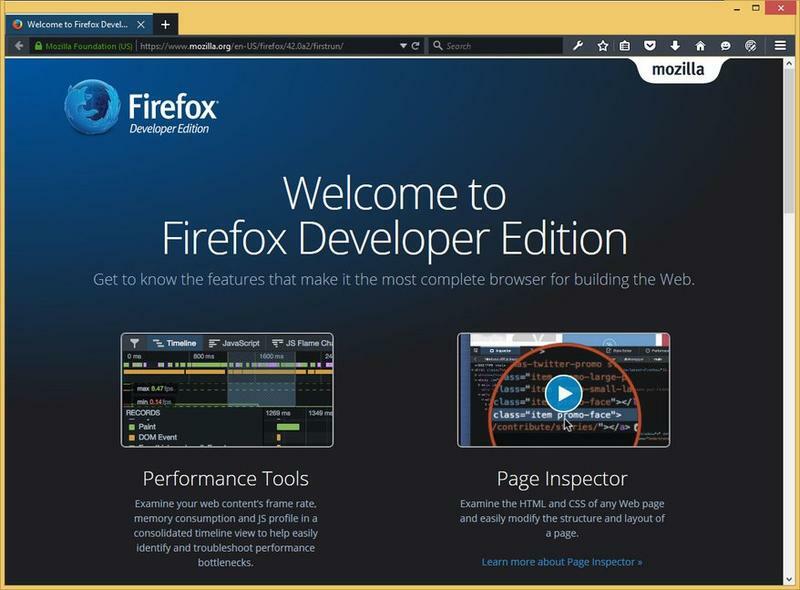 If you want to test out the Firefox Developer build for yourself, you can download it here and run it alongside your regular Firefox browser (it creates a separate profile).